J.Co, the donuts company hailing from Indonesia, is celebrating its 5th year in the Philippines. 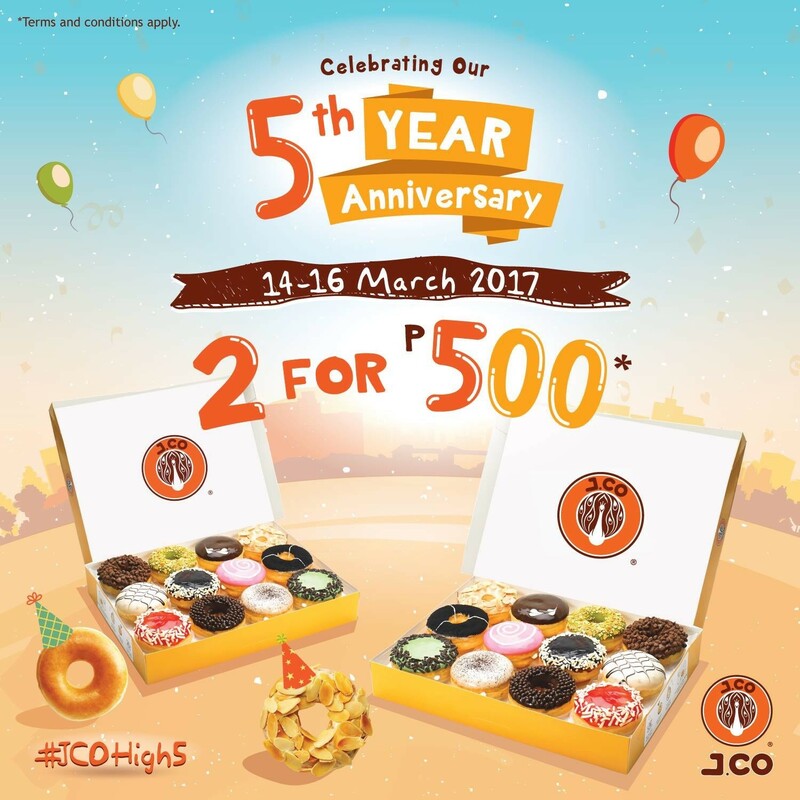 For Just ₱500, you'll get two boxes of J Co Assorted Donuts. Since J.Co debuts in the Philippines, people line up to get a taste of fresh donuts right from the oven. not to mention the all-time favorite Alcopone. J. Co also offers yogurt, coffee and delicious drinks perfect for anytime of the year.